Toyota Aygo Performance, Engine, Ride, Handling | What Car? With just 71bhp available, the three-cylinder 1.0-litre petrol engine’s performance can best be described as lacklustre. Maximum torque isn’t available until 4600rpm, so you need to rev it hard and work the five-speed manual gearbox to make any meaningful progress. Once up and running, acceleration is by no means immediate, either; getting up to speed on a motorway slip road takes some time. And even around town, you need to keep the revs high to get away from traffic lights and junctions quickly. Put simply, it's nowhere near as gutsy as the Volkswagen Up 1.0 TSI 90 or Kia Picanto 1.25 – both of which are better choices if you regularly venture out of town. Latest-generation Aygos have improved on ride comfort, which means it’s relatively calm over potholes and not as jittery as it once was, although it’s still not the last word in composure. Rivals such as the Hyundai i10 and Skoda Citigo are much more comfortable. Things are a little better on the motorway. 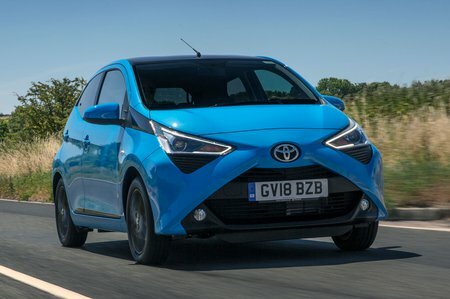 The Aygo doesn’t bob up and down over undulations or corrugations, but any cracks in the road, or serious imperfections taken at speed, can make the ride rather choppy. The steering doesn’t provide a particularly informative picture of what the front wheels are up to, but it’s weighted nicely and responsive to inputs. 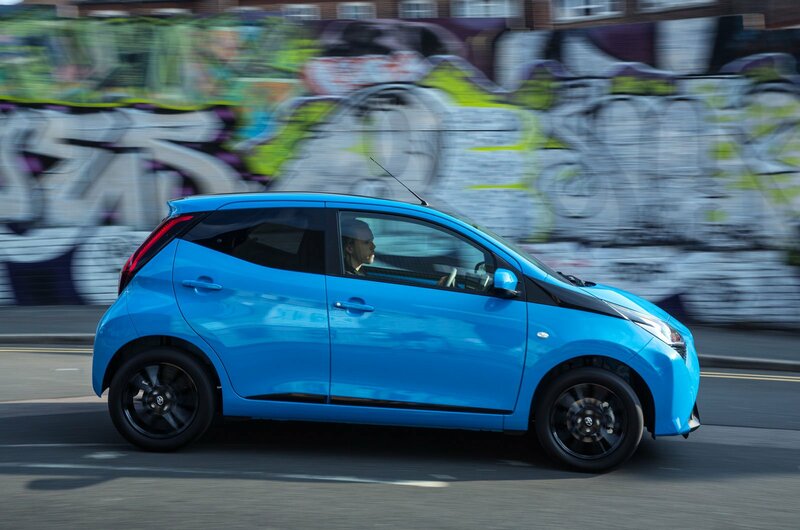 City cars should be easy to manoeuvre at low speeds and, fortunately, the Aygo's steering is light enough to make U-turns and parking in tight spaces a real boon. At lower, urban speeds, it’s a usefully agile car that can nip in and out of traffic with little bother. 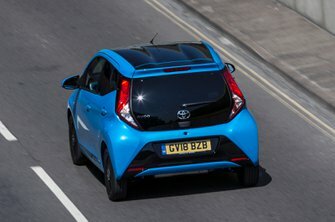 However, faster bends will expose the Aygo’s top-heavy nature, giving way to a surprising amount of body lean. Working the engine hard means the engine noise rises, as does the amount of vibration you feel through the steering wheel and pedals. When you ease off the accelerator, there’s a fair bit of gearbox whine, too, plus noticeable road noise and wind whistle around the front windows. Despite the pedals being consistently weighted, the Aygo's gearshift is frustratingly imprecise, which is annoying when constant gearchanges are required. The incredibly short travel of the clutch pedal and fairly sudden bite point might take some getting used to as well.